The Kansas State song, and anthem of the American West, “Home on the Range,” brought the longing for “a home where the buffalo roam” to the hearts and lips of nearly every cowboy to sit in a saddle and settler to drive a wagon. Unfortunately, by the time the American settlement of the Plains was complete, and all those cowboys and settlers found their home the American buffalo–or more accurately, bison–was nearly wiped out. But, recent efforts just might bring the buffalo back to the plains of Montana. Montana Fish, Wildlife, and Parks has proposed establishing herds of bison in several areas around the state. The creation of herds of 40 to 50 animals would permit managed hunting. Ranchers are skeptical of the state’s assurances that these bison would be disease-free. They fear that wild bison living so close to their homes would pose a threat to their cattle herds. 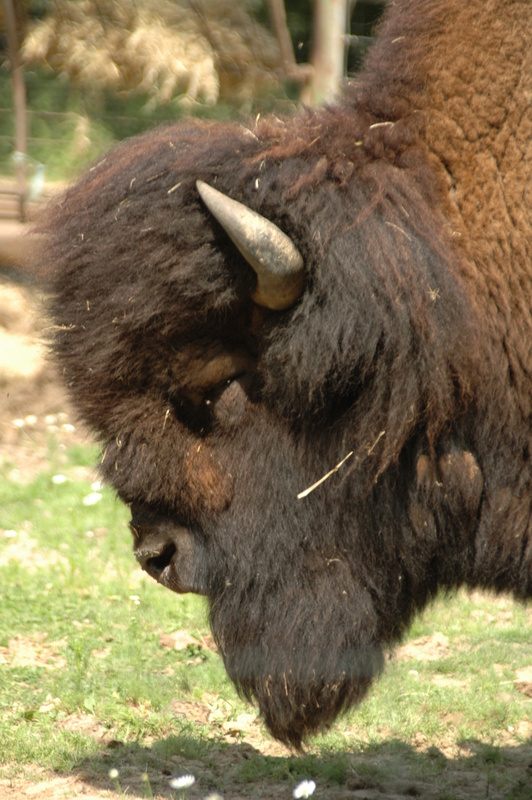 Bison are potential carriers of brucellosis, a disease that can lead to miscarriages. Today, protected herds of bison already thrive in Yellowstone National Park and on Native American reservations. Yellowstone officials maintain that brucellosis has been effectively managed and controlled within the park. Bison migrating north of Yellowstone have created a sustained appetite for bison hunts in the area. The area surrounding the towns of West Yellowstone and Gardiner make up some 720 square miles of wildlife habitat. In 2005, the Montana legislature ended a 15-year moratorium on bison hunting with 50 hunting permits. Since, the number of permits issued has increased to 140. The hunts are just as controversial as the current proposal to establish additional herds in other areas of the state, predominantly for the same brucellosis concerns. Bison and limited bison hunts regularly occur in Utah, Arizona, South Dakota, Alaska, and Wyoming and the Montana officials are quick to point out that such controversy has not arisen in those states. Yet attitudes toward introducing bison in Montana remain negative. Bison that have migrated away from the protected realm of Yellowstone often hazed–driven back into the park–or outright slaughtered. As opposed to hunting within a restricted quota and using the meat and skins in a sustainable way, carcasses are left lying on the plains, a scenario reminiscent of the original American settlers’ nearly catastrophic hunting. 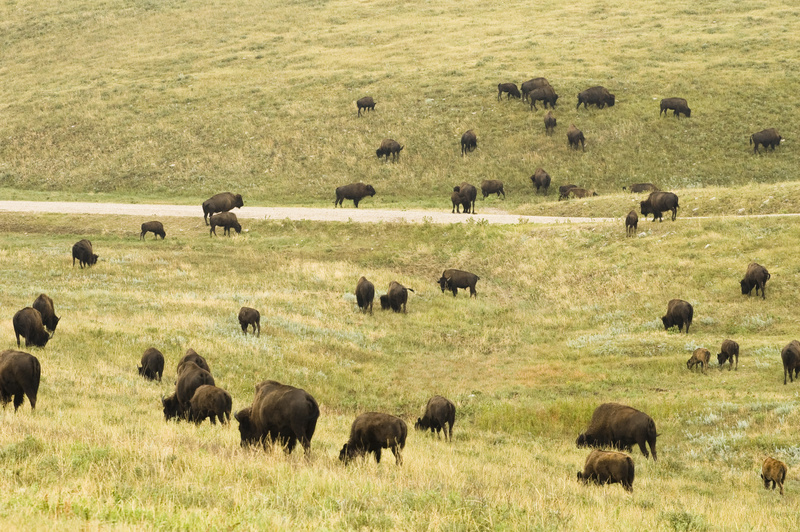 This persistent problem has resulted in a significant drop in the park’s bison population. A new iPhone app, Buffalo Haze was released last month, is designed to foster empathy for the modern-day wooly mammoths. The app is a video game in which players “haze” wayward buffalo until they return to Yellowstone. Before playing the game, players are given a brief history of bison and their current plight. Critics say the game makes light of a serious issue and reinforces the notion that the bison belong within the confines of the park. In the end, it remains to be seen if the buffalo will be free to roam.